The art of making a beat does not depend on what software or instrument you utilize but it solely relies on your skills (and ideas). However, when coupled with one of the best beat making software, you can easily turn the tables. You get a lot of functionality and tools to make the beat very quickly (compared to the situation without the software). Although, having only the best beat making software would not really make a difference unless you have other tools required to be paired with to make the most out of it. Also, when you take the help of a beat making software, it significantly reduces your cost of studio production by almost shaping your personal studio without requiring to pay a professional or book a studio. So, you do save a lot of money for a future-proof setup that is completely controlled and operated by you. Before proceeding to know of the best beat making software for Mac and Windows, we should get to know what generally the software for beat making include and what more could you have equipped along with the software to enhance your production. Beat Making Software: What Does It Do? The concept is quite simple here. However, what does it really do? How do you get to make a beat with the software tools available? Essentially the beat making software for Mac as well as Windows includes a variety of virtual instruments and ready-made loops. You just have to make use of the loops and try giving it a unique touch as per your idea with the help of the existing virtual instruments. A beat making software usually supports 3rd party plugins which you can individually purchase (rarely free) to enhance your work by a great margin. You have beat making software tools available for both Windows and Mac. Most of them are very good considering what they offer and how they keep evolving with new software updates. To produce a fantastic music as a whole, you need a bunch of pre-made loops available to experiment. Especially, if you have no idea how the instruments work in the real world, the loop libraries would help you produce a fantastic beat in no time. Also, it should house the most common musical instruments virtually. In addition, you may check whether it supports connecting a MIDI controller or not. If you can edit the MIDI data with a MIDI editor, you can record just about everything and add a personal touch to the beats you made. Of course, every time the virtual instruments may not prove to be the best – so you need to make use of some real guitars or a keyboard (Yamaha, Roland, etc.). The beat making software should also include additional tools to help you enhance your work by introducing any kind of special effects (delay, ping-pong etc). CUBASE is a product by Steinberg which is also very popular for its studio software – Nuendo – which is utilized by a lot of biggies in the Music production industry. Unquestionably, with the existing reputation, CUBASE proves to be a quality beat making software by offering so much more. It houses a big loop library which makes things very useful and easy. The CUBASE Elements 9 is the latest offering and supports a lot of plugins for powerful music creation. It is an all-in-one digital audio tool which makes production and recording both possible. Also, it is an affordable software product being a professional program. However, CUBASE Elements does not include a long list of virtual instruments rather a handful of them. If you were hoping for more virtual instruments, this could be a let down for you – but it still is our recommended choice over the others. Logic Pro X is a Mac-exclusive beat making software. It is a very powerful beat making software for Mac which supports both recording and creation as well. When compared to CUBASE – which is also available for Mac – the Logic Pro X is more expensive. 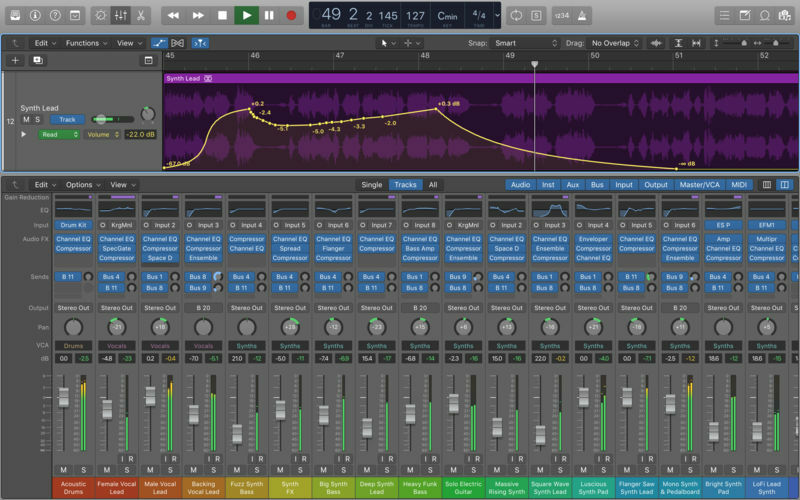 Logic Pro X is known for its high-quality virtual instruments – resembling like the real one. It includes almost the same number of loops as the CUBASE Elements offered. However, the Logic Pro X supports more plugins than most of the beat making software tools do. If you have a Mac-powered system and could easily spend 200 USD for Logic Pro X – you should get it. Otherwise, CUBASE will still be a great pick. FL Studio is a touch of everything. If you want to stick creating music virtually with a different take than the real feel, FL Studio would be a brunch for you. Creation and Production of music are on par with the competitors. 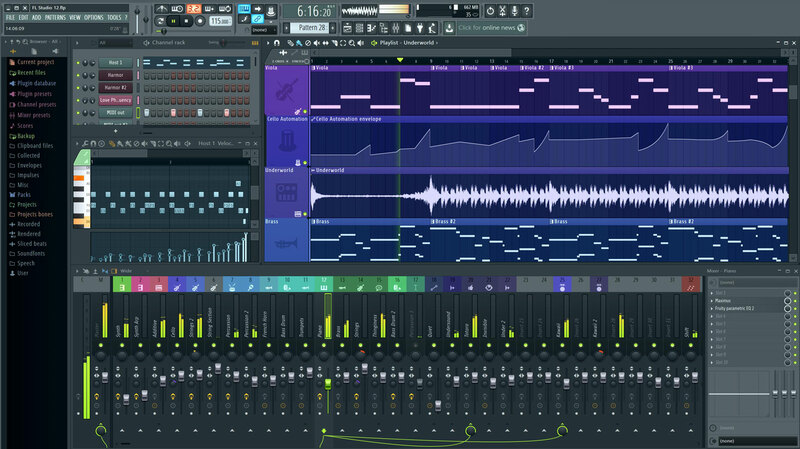 However, FL Studio provides you with a set of exceptional tools with a wonderful user interface to craft the perfect beat needed for your music. It wouldn’t be a good experience when you try recording external instruments. The procedure is quite complicated and not very easy to use. 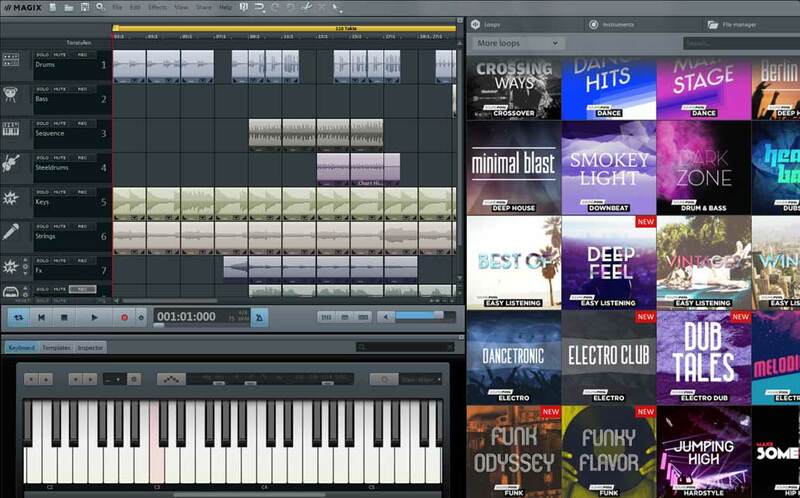 Unlike other beat making software tools, it offers a range of editions to choose from. So, you can either get the basic edition for 99 USD or opt for the super professional edition at 899 USD. Studio One may not be the complete music production software package you’d expected but it offers a very flexible and easy to use MIDI editor. So, if you want to edit it yourself – this is a must-have software tool. You will observe the tool to be faster and more efficient when working with MIDI inputs. Studio One prime is a free edition to experience what it’s like to operate and use Studio One software package. You may also opt for the expensive Studio One professional edition which contains almost everything you’d expect for innovative songwriting and production. Even though the output quality is great by default, the plugins to enhance the work are very limited – while considering the 3rd party plugin support. Magix’s Music Maker premium tool is by far the most user-friendly audio powerhouse software tool. It makes things easier even for someone who’s not acquainted using a music production software. It includes a huge library of loop files. 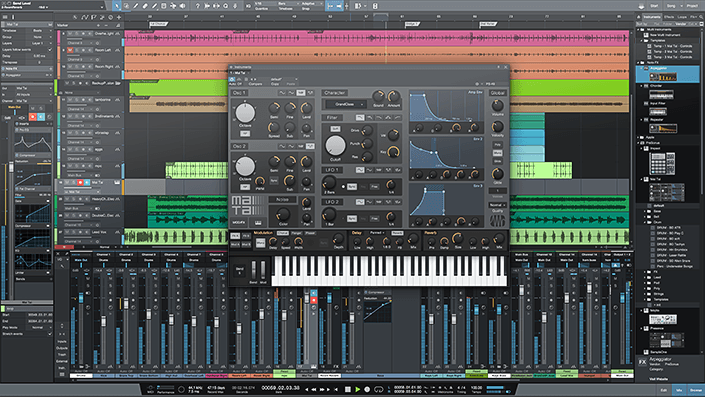 Magix Music Maker also contains some unique virtual instruments – you can choose them after you purchase. The premium edition is definitely a value for money software product at just 79.99 USD. In either case, if you want a simpler beat making software for Windows – it also offers a PLUS edition for just 59.99 USD. While having the best beat making software is a necessity, so you should keep in mind the checklist to look for a perfect audio music creation software tool. Among the software tools mentioned here, my personal favorites would include Magix Music Maker for the ease of use even for the general users and CUBASE Elements for professional users. There might be a lot of different free beat making software tools except only the Magix Music Maker. If you happen to know about some more audio music beat making software tools, let us know in the comments below. 11 Best Song Identifier Apps to Know What Song is This!